Thank you to you all for supporting the Knocknagoshel Halloween Festival since 1994. Your generosity and continued support has enabled us to support many local community groups, schools & charities over the years. Our chosen charity for this year is the Tralee Soup Kitchen. The Knocknagoshel Halloween Group are proud to be donating to such a fantastic local cause. The Tralee Soup Kitchen opened in October 2012 and provides a free three course meal for those in need in Tralee and surrounding area. They are open from 12pm to 2pm every Saturday morning in Teach an tSolais on Ashe Street. Takeaway meals are also provided, so their diners can have a meal the following day. Everyone is welcome to the Tralee Soup Kitchen with a no questions asked policy. Hi there to all the members of the Knocknagoshel Halloween group, those who get pleasure out of scarying the beejasus out of people!!!! on behalf of the Irish W...heelchair Association i want to say a sincere thank you for the fantastic donation that you made to our Resource & Outreach centre in Listowel. This will be invested by our service users in a meditation / exercise room in our centre in Ballygologue Rd. thus improving their quality of life. Please feel free to call and see us any day and im sure the ever happy Marie Aherne will plug the kettle in for you. 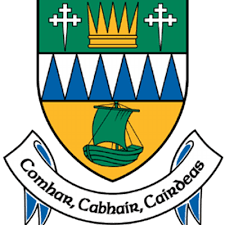 Special thanks to Kerry County Council for supporting our not-for-profit group, through the 2016 Community Support Fund. Their contribution to our group, has made a real difference to the continued success of our Festival. Our nominated charity for 2015 was the Ronald McDonald House, Charity Ireland, they are the leading charitable organisation helping families connect with their children while in Hospital. The Ronald McDonald House provides accommodation and a caring and supportive environment for families whose children are seriously ill and are hospitalised or undergoing medical treatment at Our Lady’s Children’s Hospital, Crumlin, Dublin.